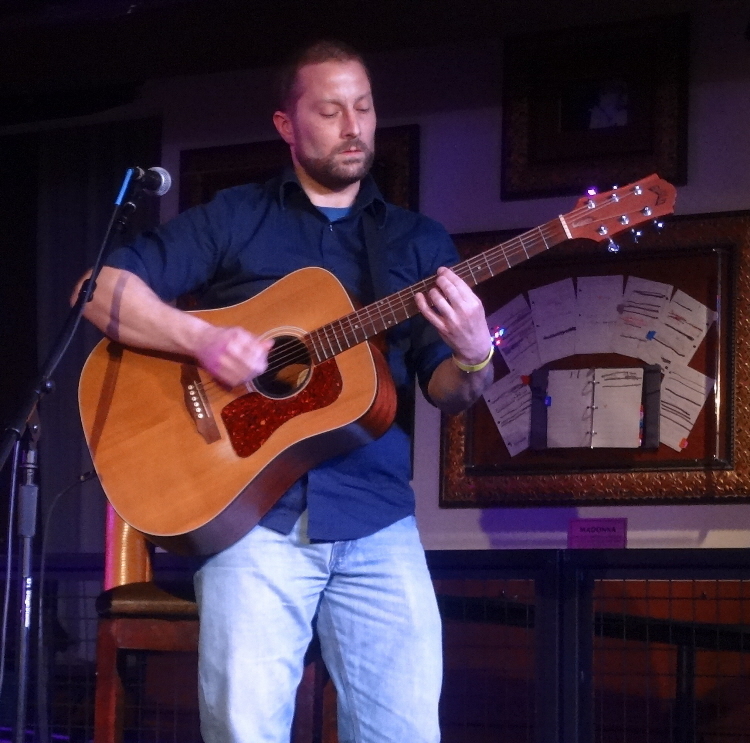 You first read about Justin Piper here at the Blog in the spring of 2017, when he was one of the songwriters “in the round” featured during Off the Stage Music’s first Behind the Songs event. Today, I’ll take you through a spin of Justin’s latest release. As you listen to Justin’s album Transcend, you’ll quickly discover instrumental guitar stylings that are unique and intricate; his music is memorable, with song structure and progressions forming tight single units, all cohesive within the album as a whole, tied together intentionally by writing and ordering the songs to connect to those before and after. 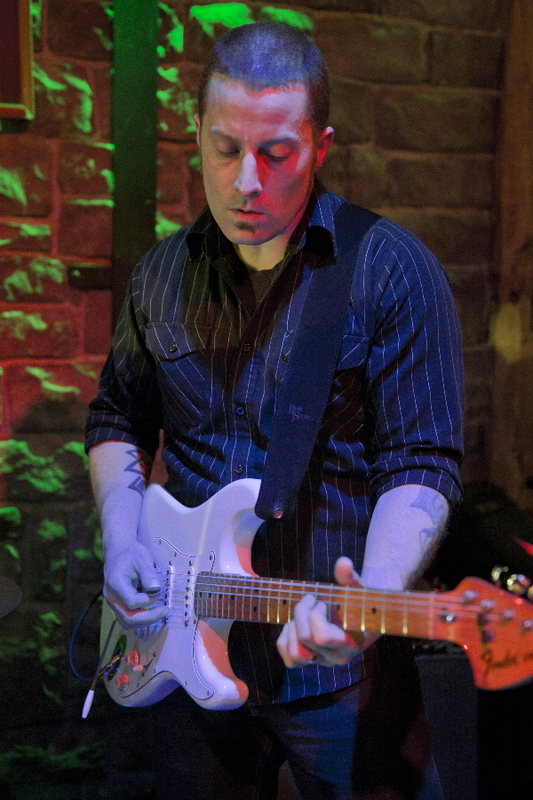 And, of course, Justin does have an identifiable guitar style, intricate though it is, tying his songs together, as well. The style, if it must be categorized, is perhaps cool, nature-themed jazz, but very adult contemporary singer-songwriter structured (sans the singer part), forming its own little corner of the easy listening genre, as it sure is easy to listen to. In fact, it’s a form of music that stands up to dozens of listens a month for months on end – I know that from experience – without fading in enjoyment. Most of the songs on the disc evoke outdoor imagery. In cases like album-opener “Lakeside,” for example, you can almost hear raindrops falling on the lake, and also at times the lake washing against the shore. “Through Composed” makes me picture an intellectual journey. There’s a meandering nature to the versus, with a faster pace to the chorus, which brings forth thoughts of an accelerated periods of understanding something, interspersed within prolonged periods of seeking and questioning. If I make an effort to picture physical events, I can, as well. That’s the cool thing about Justin’s compositions. They go somewhere, and they’re open to interpretation, even if/when he had something specific (and different) in mind. Of course, a lot of our favorite songs are that way. Speaking of favorite songs, one of my preferred cuts on this disc, “Camels,” is next. It sports a recurring energetic series of notes that seem to exist in a few spots on this album, with soaring bridges in between. Very hip, cool, and jazzy in nature, this is one of the standout tracks on Transcend. On “Falling Through the Dark,” Justin takes a little more exotic musical turn, with heavy strumming and a somewhat otherworldly twang driving the music. It flows nicely into “Mahavishnu’s Lullaby,” which softens the hard edges a bit and replaces them with some winding musical twists and turns. “Peace Three” picks up the pace, perhaps one of the truly jazziest numbers on the album, with lightly dancing runs returning to a frenetic base rhythm. Followed by the memorable rhythm of “Fayetteville Honey,” this pair of songs is a welcome guidepost along the album’s musical journey that sparks a joyful smile of recognition each time through. From there, “Nearly Arriving” softly sets the stage for another of my absolute favorites on this disc, the pleasant “Snow Shower,” a song whose musical sprinkles land softly and joyfully with a light, upbeat energy. Brings forth images of frolicking in the snow and, during the slower segments, perhaps catching a flake or two on your tongue. After “Bugs” zips by quickly, with an odd little sound at the end – a bug crawling or flying quickly and then getting zapped? – Justin showcases an odd, halfway off-kilter sound on “The Line.” It brings to mind, for me, an image of a snake-charmer getting a cobra to rise, though that’s only a 90% correct image, as there are a few notes that don’t quite fit. With these two tunes, though, Justin has added a bit of tension to the listening experience. So he winds the album down with a couple songs that unwind the tension. First, “Stutter Steps,” which is a little stop-and-start – stutter step-like, I suppose – before washing the album out to sea with “Bobbing,” a number that (you guessed it) rises and falls pleasantly before twittering away to an end. By the end of the first listen, you’ll realize Justin Piper’s dynamic, original talent, combining his songwriting skill with a unique guitar-playing style that’s soft but substantial. 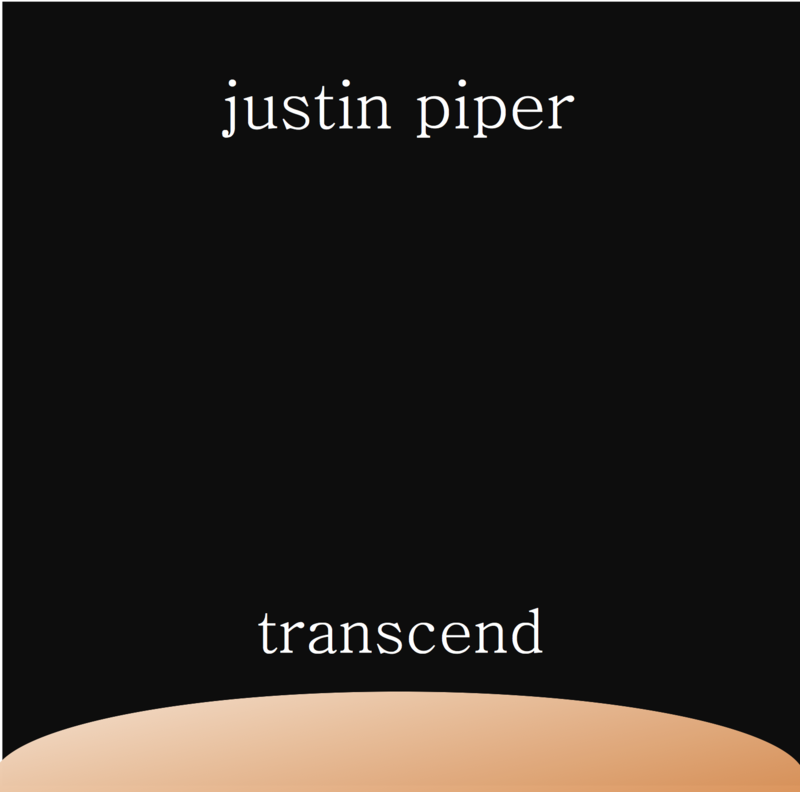 And the resulting Transcend is an album that’s enjoyable across repeated listens. At the moment, Justin’s performance calendar only lists his recurring Monday night gig at the Bell In Hand Tavern in Boston. Get out to see him some Monday night, and check back for more performances as he adds them. This entry was posted in Album Reviews and tagged Album Review, Geoff Wilbur, Justin Piper. Bookmark the permalink. Ah. 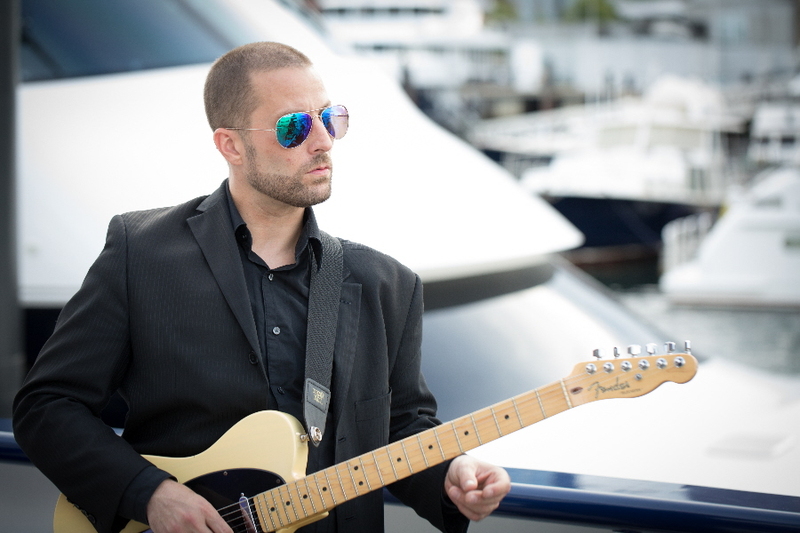 The first Tuesday of every month, you can catch the Justin Piper Trio at Chianti Cafe in Beverly. It’s just across the street from the Cabot Theater. Justin at the Chianti is a true highlight of every month. It’s not to be missed!